I think it's an age thing, age and a little bit of OCD!! I'm not quite folding my socks in to neat little lines but who know's maybe one day! So, I've been busy building a darkroom/office, it's not enormous at around 15 sqm but it's certainly big enough to do all the things I want to do and I'm no longer a photographic gypsy. The process of designing the space and drawing up a plan (sketchup is awesome) reminded me a little of my previous life, getting my tools out was also therapeutic although I'm over it now....and yes I did set a budget for this project and subsequently broke it. A late addition to my plan was an Electronic Humidity Control Cabinet, I'm pretty sure this is me being over cautious but it was reasonably priced, I'll give further details on the cabinet I chose in a separate post. 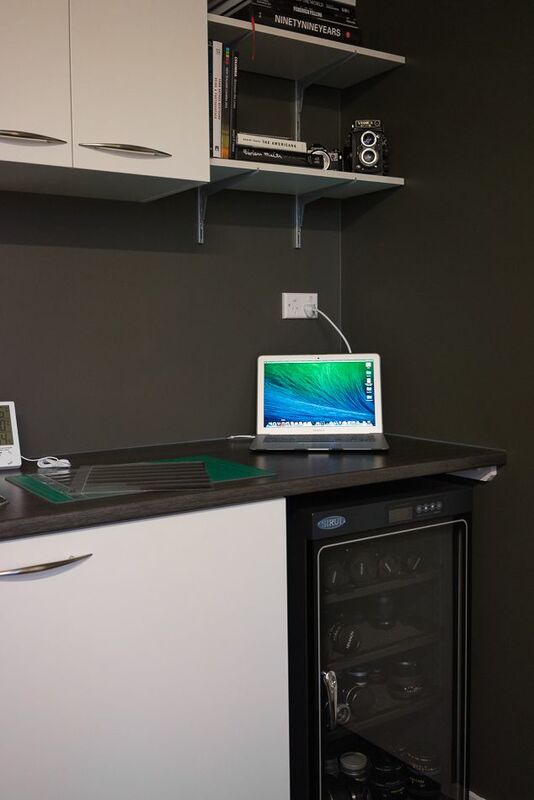 I did save some money by utilising the old wine cooler (we don't have wine long enough to store....we drink it!) it's great for my film though. I've refurbished the Magnifax enlarger I acquired a few years ago, I've not used it yet but I will get to it. Something else I'd been considering was becoming more self sufficient when it comes to developing film, in the past I've done my own B&W using the Rondinax 35U and been pretty happy, thus far I've avoided colour, but that's now changed. Several weeks ago I purchased a Digibase C-41 kit and used it successfully with the Rondiax, it's a little fiddly keeping the temperatures exactly where you need them but it is manageable. Not wanting to risk any film with potentially decent shots on I put a couple of test rolls through the kit and was pleased with the results. This all happened around the same time as my lab www.filmsoup.co.nz hit some technical difficulties with their film processing kit and subsequently had a little down time. All the thinking about colour film processing and Jobo's served to reminded me of an email I'd had back in February this year regarding a Jobo CPP2 that was potentially available, at the time I'd declined the offer. I made a call and was pleased to hear it was still available so I made arrangements to view it the following day. In the meantime I refreshed my memory on the CPP2 and the various improvements made to the machines over the course of their production. If I'm honest I wasn't expecting much, I learnt a long time ago that one persons mint condition is another's fair but my luck was in. Although the lady selling the Jobo assured me she had used it in the past this CPP2 had no visible signs of use, added to that it has the Lift fitted and was the latest serial number which means it has all the improvements. We agreed a price of NZ$450 and I was a very, very happy man!! 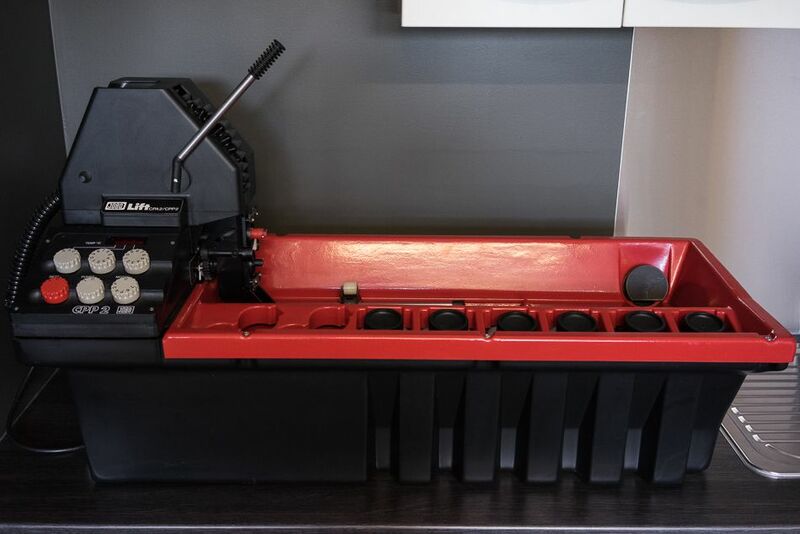 I still needed a tank before I could run anything through the machine so I contacted Omer at www.catlabs.info and he sorted me out with a Multitank 2520, a couple of reels for 35/120 and a reel for 4x5. I've had the Jobo running a few times over the course of last week and I'll post some B&W & Colour images in the next few days. Along with those I will include a scanning workflow which I've almost 99% settled on!! Let's see, what else have I done??? 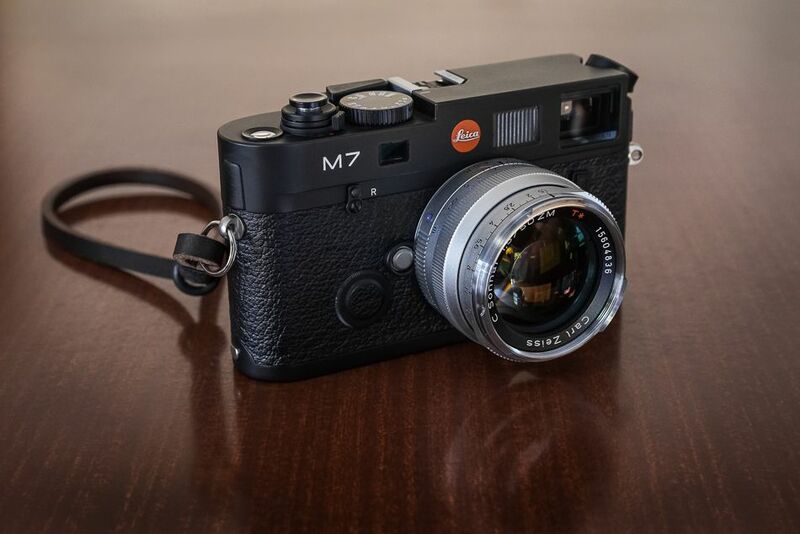 I found myself a fantastic M7, absolutely mint, boxed and a great price. This has been reduced to a good price as NZ Customs took a liking to the M7 and requested a donation to release it!! Still a great buy and I have to say having put a couple of rolls through it I really like it.